Soffits are an integral part of the roofline system sealing thus protecting the underside of the roofs edge, and providing ventilation to the inner roof area to minimise the risk of trapped moist air which causes rot. 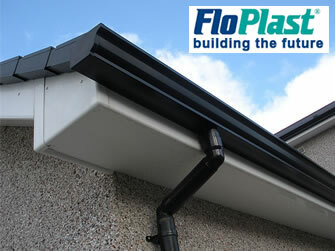 A range of plain and vented soffits available as flat boards or cladding boards. A 300mm fluted soffit board is also available. A series of joints and ventilation strips complete the range. Whether for new-build or renovation, homeowners / installers have a choice of plain, ogee, square edged, or bull nosed fascia boards all available in 16mm thickness. Fixes directly to rafter feet and bears the weight of eaves tiles and guttering without the support of a backing board or tilt fillet. 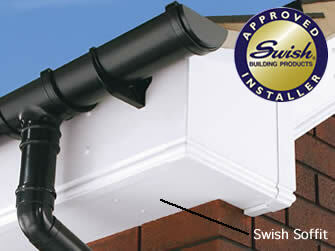 Soffit engages by push fit. All fascia systems come complete with matching corners, joiners, end caps and a selection of roofline accessories to add that finishing touch to any property. 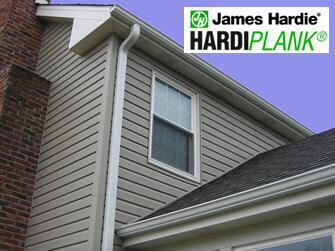 Requirements of any rainwater system is that it has to be durable and reliable. It has to be able to withstand the magnitude of weather conditions our climate has to offer and be as effective in the colder months as in the warmer months. In addition to this they should ideally look attractive, either blending in or standing out depending on the homeowner’s preference and require minimal maintenance . of subtle colours and three different contemporary styles.